What is it? Autodesk has continued to take steps in improving the AnyCAD functionality in Inventor. This release contains what may be the largest enhancements ever since AnyCAD’s inception. Users can now use AnyCAD workflows to leverage Inventor 2018 parts and assemblies into Inventor 2017 designs. Why I’m excited. This is groundbreaking. One of the most requested enhancements to Inventor has always been backwards compatibility. Users have had to maintain a singular version among themselves and their contractors, vendors, etc. in order to collaborate on a project. If one person opened your assembly in a newer version, the file was stuck there. 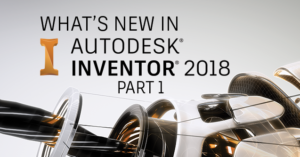 You can now take Inventor 2018 files and open them in the 2017 version of the software. This is great for supplier and vendor collaboration, especially if you want to be an early adopter of the latest version of Inventor. This, in addition to the already existing workflow for non-native files, lets you work in a mixed CAD environment and maintain the most updated versions, allowing you to get your designs to production at a faster rate. 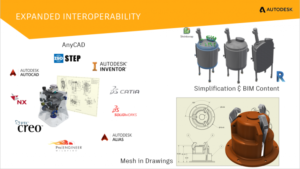 Data collaboration struggles are common, and hopefully you too can use AnyCAD technology inside of Inventor 2018 to eliminate some of the speed bumps in your design process.